588 pages | 28 Color Illus. | 24 B/W Illus. 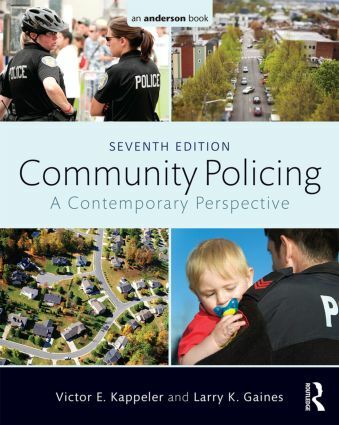 Whether you are a professor, student or long time practitioner, you will find this book to contain a comprehensive and thought provoking overview of community policing. It provides a perfect blend of factual historic considerations and implementation guidelines and should be required reading for everyone in the criminal justice field. The strength of this text is that it thoroughly covers the philosophy of community policing and then explains how specific strategies and tactics fit within that philosophy. Only by understanding that link can students discern the difference between practices that truly are community policing and those that are not. I've used this textbook for my community policing courses for the past several years starting with the 5th edition. Nicely written, easy for criminal justice or non-criminal justice students to follow. Excellent resource that has been updated nicely. I look forward to using the 7th edition.